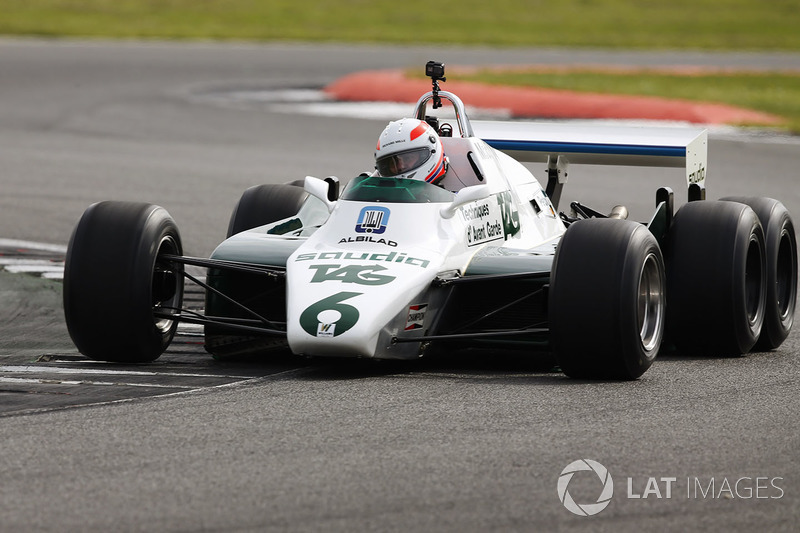 A few days after he won the Las Vegas Grand Prix on October 17, 1981, for Williams, the previous year’s world champion Alan Jones flew back to Europe to shakedown a strange-looking Formula 1 car that had six wheels. 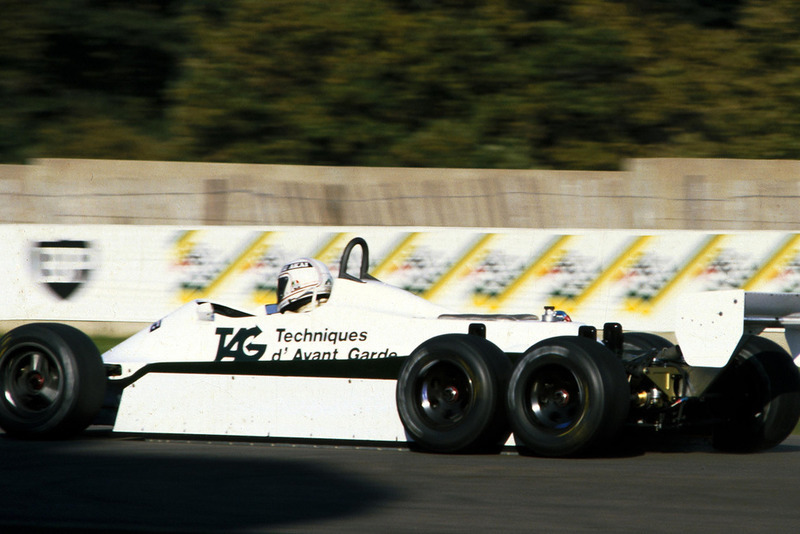 Near the end of the 1981 season, it became clear to the Williams technical staff that something needed to be done in order to challenge the powerful Ferrari and Renault turbo cars (pictured below). 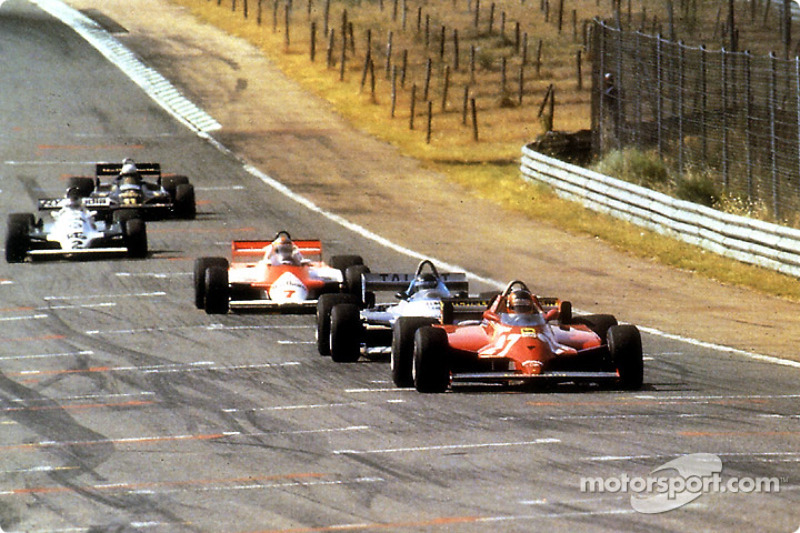 “We designed the six-wheel car because we couldn’t get a turbo engine,” Frank Dernie tells Motorsport.com. 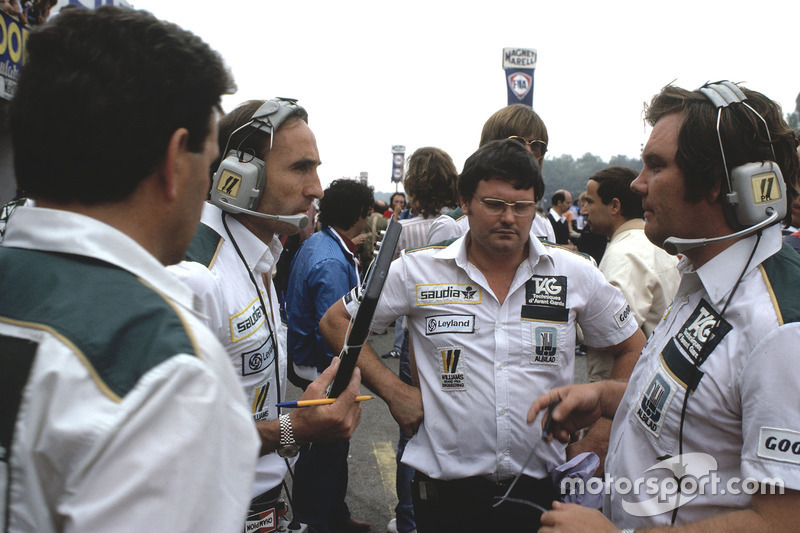 Then working as a consultant, Dernie was the right-hand man of Patrick Head, the chief designer and technical director of the British team. Stuck with the DFV, the engineers had to find an aerodynamic solution to make the car run faster. “We looked at the wheels and we found out that the rear tyres were producing a huge amount of drag,” Dernie continues. “We came up with this idea of if we could produce a car which had four front wheels at the back, one behind the other, we’d probably be producing much less drag. The small technical department of the Williams team could count on two young and talented engineers who were on an apprenticeship. 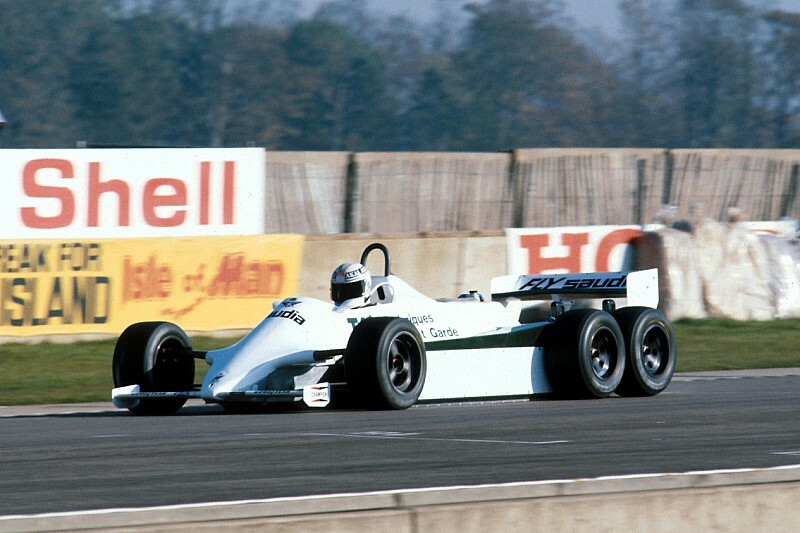 Dernie worked on the car’s aerodynamics and he maximised the use of the sidepods to generate ground effect. 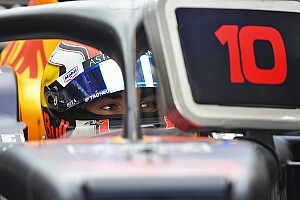 “The bodywork I was working on in the windtunnel, which would have been the final version had we gone ahead, didn’t have a rear wing at all,” he reveals. 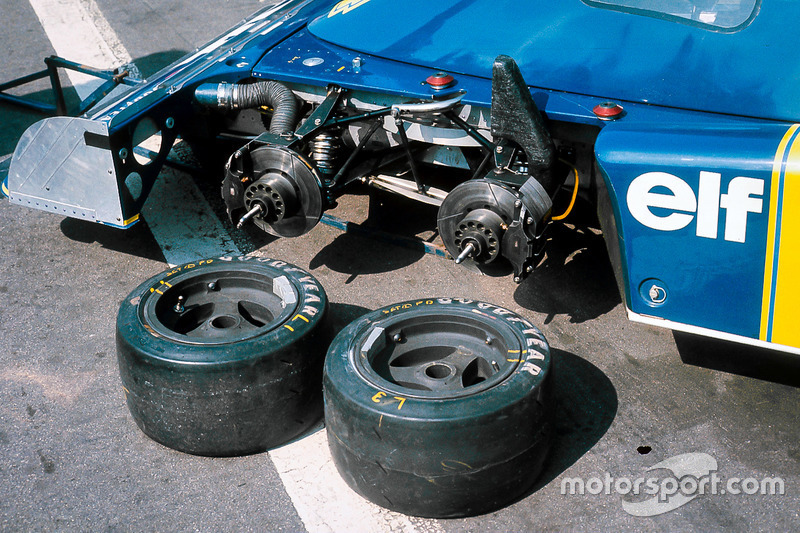 “That car had huge venturi tunnels, all the way to the back and the bodywork extended all the way to the rear. We managed to get the downforce without a rear wing. 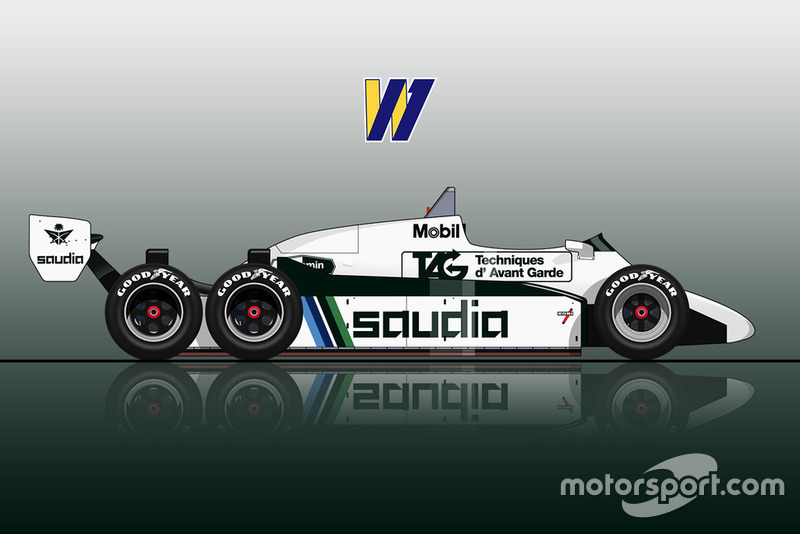 A test car was produced: the Williams FW07D, which was based on the successful FW07C. 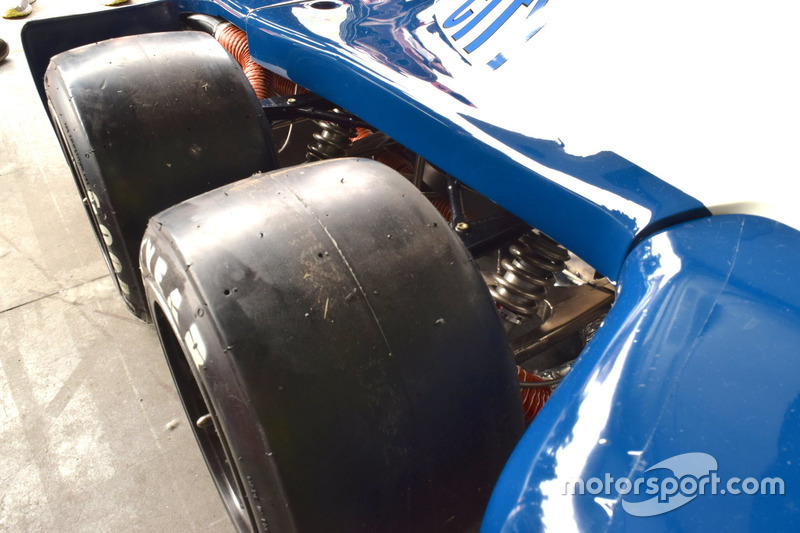 The new rear end with four wheels (and two differentials) was bolted to the rear of the DFV. 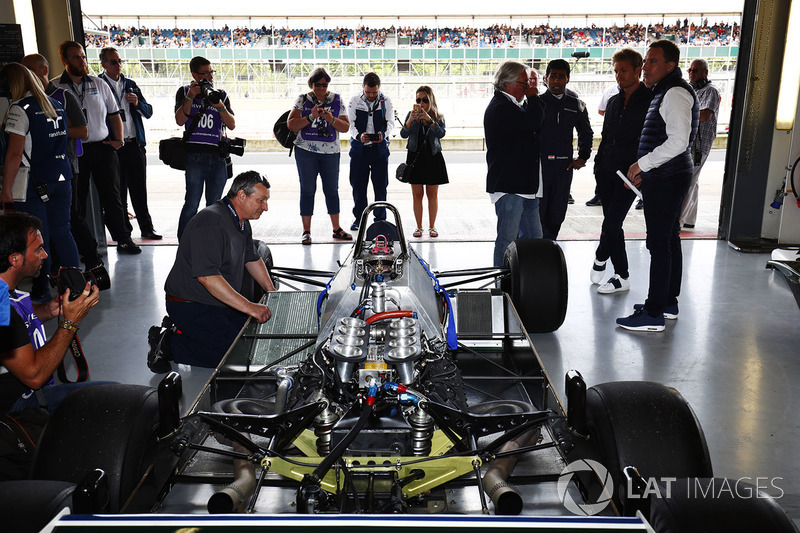 Jones flew back from his last-ever F1 win at Vegas to the UK to test the new car at Donington. 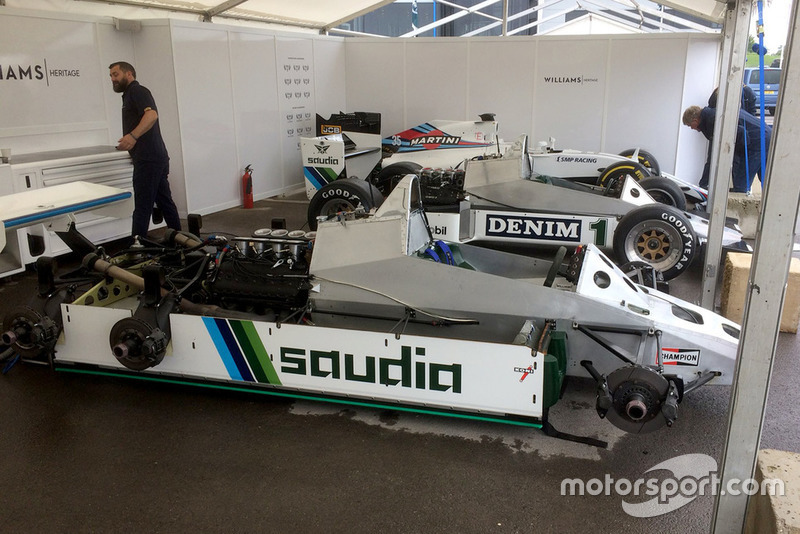 After that, another car was built, the FW08B, the car that was supposed to contest the 1982 season. 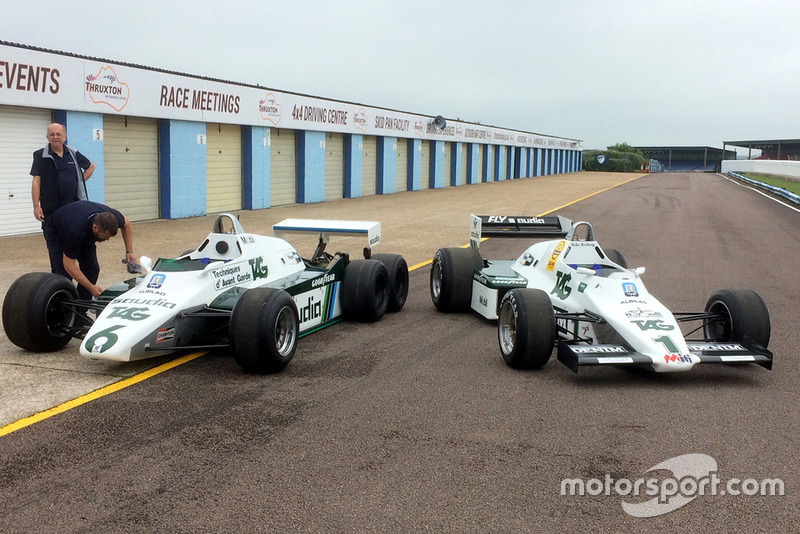 “Alan Jones, Jonathan Palmer, Keke Rosberg and Jacques Laffite drove the two versions of the six wheel,” Dernie continues. 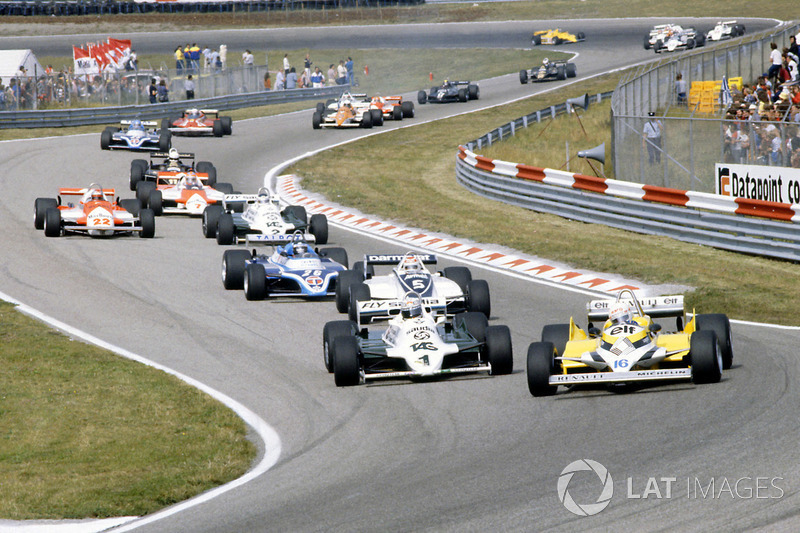 “Laffite drove it most, especially at Croix-en-Ternois, a short and twisty track located in Northern France. 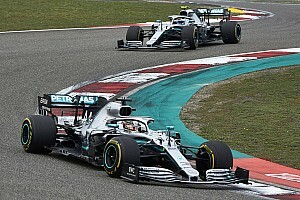 The FIA heard about these strange cars, and decided to make a change to the F1 rulebook to ban cars with more than four wheels. 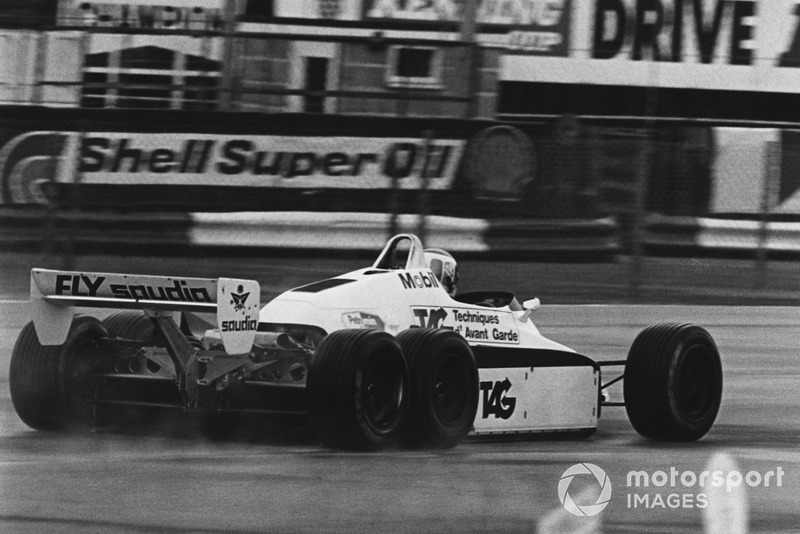 Additionally, the FIA considered that the Williams was illegal because it was four-wheel drive, which had already been forbidden. 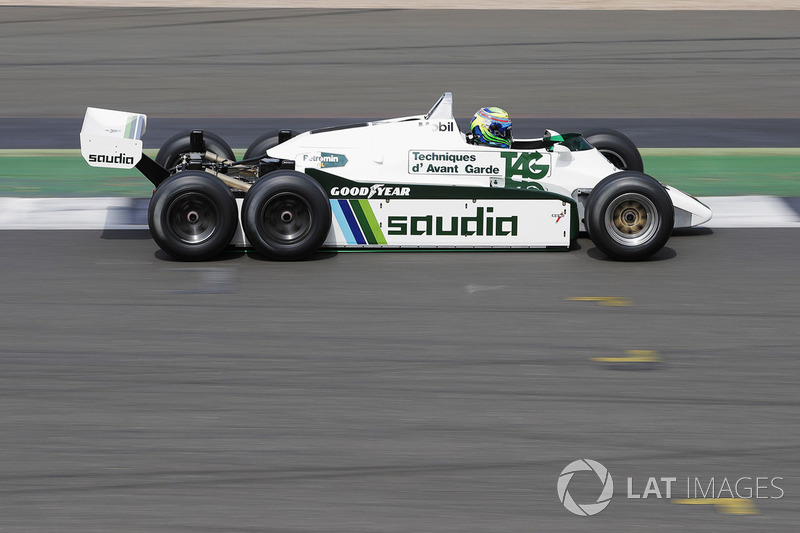 The FW08B has been recently restored by Williams, and can be seen in action during special track days – Felipe Massa, Martin Brundle and Jenson Button have all driven it. 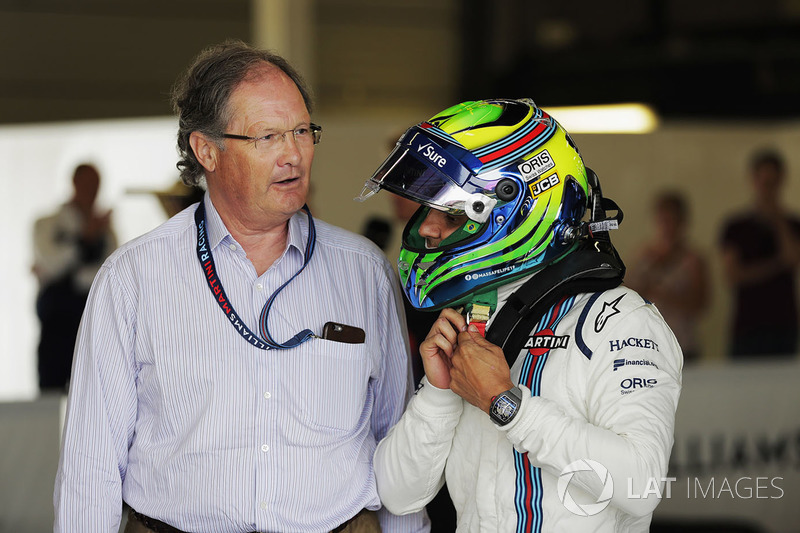 “The car is still in working condition, which is an amazing feat,” concludes Dernie. 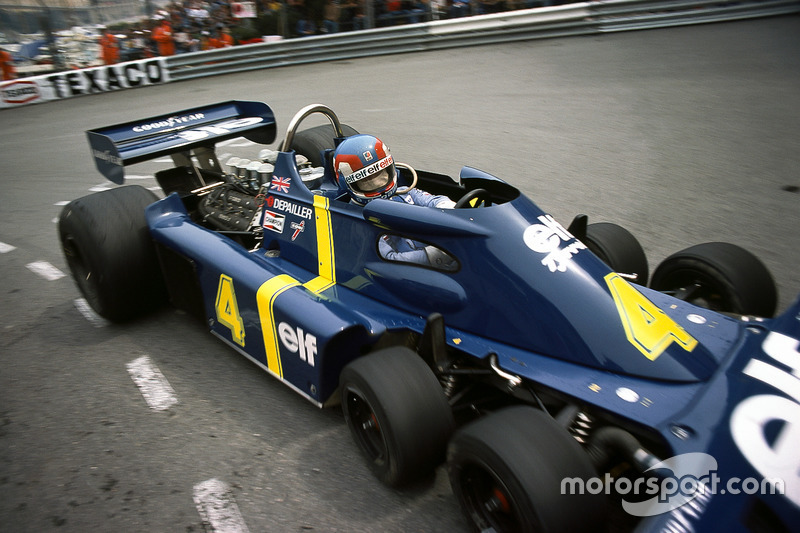 “We built only one gearbox and only one set of complete suspension. 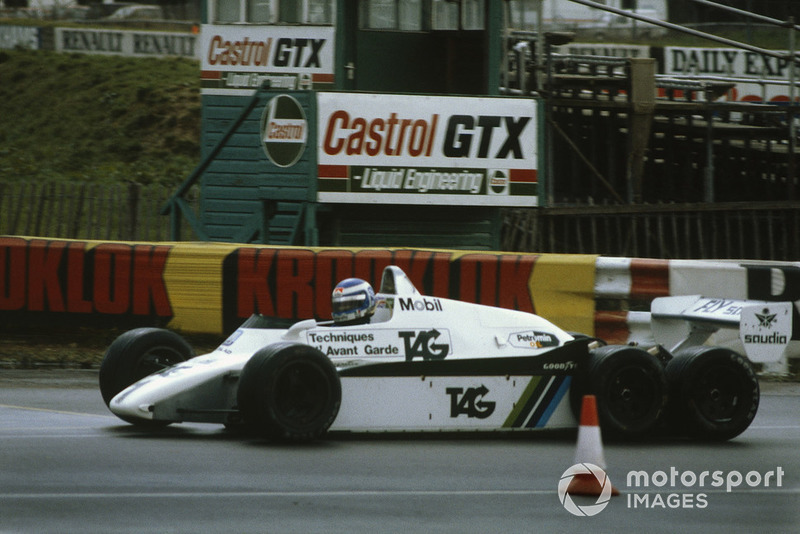 We only had a small number of internal spares for the gearbox. That was it.